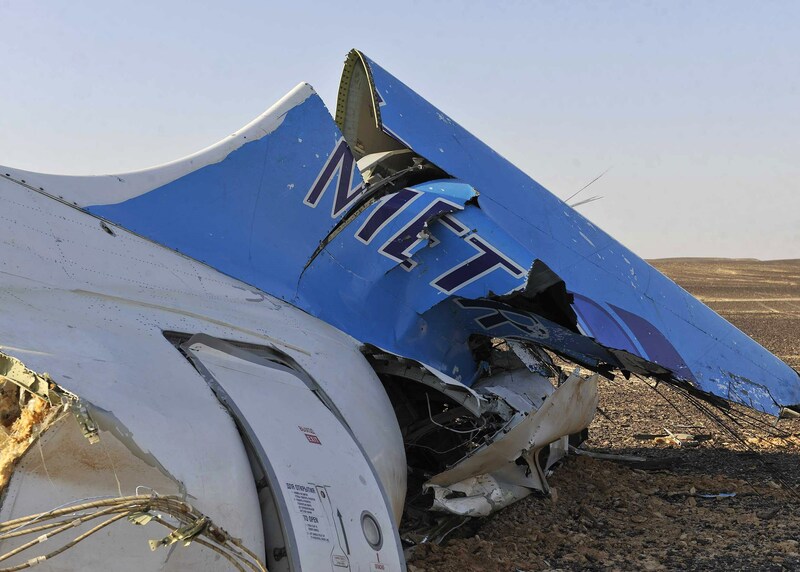 Although the cause of the crash has not yet been determined, Egyptian investigators said on Saturday that a noise was heard on the black box just as Russian flight 9268 broke up. Just after the unidentified noise, the recording went silent, which still leaves questions of what exactly happened to the flight when it went down over the Sinai Peninsula last week, killing 224 people. The head of the Egyptian investigation, Ayman al-Muqaddam, told reporters at a press conference on Saturday that the team had also determined that the plane was still gaining altitude when it broke up. Investigators from Egypt, Russia, France, Germany, and Ireland are still in the "information-gathering phase" according to Maqaddam. "All the scenarios are out on the table," Muqaddam said at the press conference in Cairo. "We don't know what happened exactly." As USA Today notes, the investigation lead took aim at U.S. and British media for speculating that the crash was caused by a bomb, saying that "some of [the media] claim to rely on official intelligence which favors a certain scenario." Muqaddam reiterated that the "committee was not provided with any information or evidence in this regard," further reiterating that the investigators do not know what caused the crash. But separate investigative teams continue to hint that the crash was not an accident. European investigators told CNN affiliate France 2 that after analyzing the two flight recorders that there was no way the accident could have been accidental. The cockpit recording, they said, indicated an explosion, and they could not determine any mechanical malfunction. It's this split second, and it's a millisecond, where you hear an explosion of some description. And you see all the parameters (on the recorders) go haywire before the power is completely lost. If this report is accurate, (investigators) have now analyzed that ... heard it and they can identify it. It's unclear why the European investigators are quick to point to the possibility of a bomb, while the teams working on the case in Egypt seem be so much more cautious, but both teams are working diligently to understand exactly what took the lives of 224 people.